"Importance of Reducing Vapor Atmosphere in the Fabrication of Tin-Based Perovskite Solar Cells", Song, T. B.; Yokoyama, T.; Stoumpos, C. C.; Logsdon, J.; Cao, D. H.; Wasielewski, M. R.; Aramaki, S.; Kanatzidis, M. G., J. Am. Chem. Soc. 2017, 139 (2), 836-842. 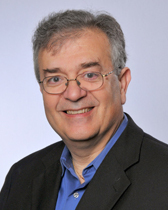 "Discovery-Synthesis, Design, and Prediction of Chalcogenide Phases", Kanatzidis, M. G., Inorg. Chem. 2017, 56 (6), 3158-3173. "Extremely Efficient Internal Exciton Dissociation Through Edge States in Layered 2D Perovskites", Blancon, J. C.; Tsai, H.; Nie, W.; Stoumpos, C. C.; Pedesseau, L.; Katan, C.; Kepenekian, M.; Soe, C. M. M.; Appavoo, K.; Sfeir, M. Y.; Tretiak, S.; Ajayan, P. M.; Kanatzidis, M. G.; Even, J.; Crochet, J. J.; Mohite, A. D., Science 2017, 355 (6331), 1288-1291. "Ultrahigh Power Factor and Thermoelectric Performance in Hole-Doped Single-Crystal SnSe", Zhao, L. D.; Tan, G. J.; Hao, S. Q.; He, J. Q.; Pei, Y. L.; Chi, H.; Wang, H.; Gong, S. K.; Xu, H. B.; Dravid, V. P.; Uher, C.; Snyder, G. J.; Wolverton, C.; Kanatzidis, M. G., Science 2016, 351 (6269), 141-144. "Halide Perovskites: Poor Man's High-Performance Semiconductors", Stoumpos, C. C.; Kanatzidis, M. G., Adv. Mater. 2016, 28 (28), 5778-5793. "Highly Selective and Efficient Removal of Heavy Metals by Layered Double Hydroxide Intercalated with the MoS42- Ion", Ma, L. J.; Wang, Q.; Islam, S. M.; Liu, Y. C.; Ma, S. L.; Kanatzidis, M. G., J. Am. Chem. Soc. 2016, 138 (8), 2858-2866. "TiO2-ZnS Cascade Electron Transport Layer for Efficient Formamidinium Tin Iodide Perovskite Solar Cells", Ke, W. J.; Stoumpos, C. C.; Logsdon, J. L.; Wasielewski, M. R.; Yan, Y. F.; Fang, G. J.; Kanatzidis, M. G., J. Am. Chem. Soc. 2016, 138 (45), 14998-15003. "Codoping in SnTe: Enhancement of Thermoelectric Performance through Synergy of Resonance Levels and Band Convergence", Tan, G. J.; Shi, F. Y.; Hao, S. Q.; Chi, H.; Zhao, L. D.; Uher, C.; Wolverton, C.; Dravid, V. P.; Kanatzidis, M. G., J. Am. Chem. Soc. 2015, 137 (15), 5100-5112. "Photochemical Nitrogen Conversion to Ammonia in Ambient Conditions with FeMoS-Chalcogels", Banerjee, A.; Yuhas, B. D.; Margulies, E. A.; Zhang, Y. B.; Shim, Y.; Wasielewski, M. R.; Kanatzidis, M. G., J. Am. Chem. Soc. 2015, 137 (5), 2030-2034. "Ultralow Thermal Conductivity and High Thermoelectric Figure of Merit in SnSe Crystals", Zhao, L. D.; Lo, S. H.; Zhang, Y. S.; Sun, H.; Tan, G. J.; Uher, C.; Wolverton, C.; Dravid, V. P.; Kanatzidis, M. G., Nature 2014, 508 (7496), 373-377.